Mariana Back and Tom Callen (Nordic4DFrame), plus three educators from Sweden (Annelie Bergman/Borlänge County, Susana Bernardini/Vattenhallen Science Center, Lund, and Maria Karlsson/sustainability consultant, Stockholm) were guests of 4DFrame in Korea 21-28 October. Included as part of the busy and intensive trip to four different cities in the country were visits to preschools and elementary schools, and an invited talk for teachers by Annelie, Mariana and Susana about the Swedish education system in Suncheon. Tom gave an invited talk at a STEM symposium for students and professors at a national teacher’s university in Daegu. A highlight of the trip was the group’s participation as international judges for the annual 4DFrame science competition held at the Daejeon National Science Museum, which had 1,000 student participants from all over Korea as well as some from China. In addition to the education-oriented activities, the organizers at 4DFrame also made sure that there was time to include cultural activities, such as participating in a traditional Korean tea ceremony in a historic former school. We also got to visit a national park located on a peninsula far down in the south, to name just two examples. “Hack attack” (of new ideas) at the library! Today’s library is nothing like they used to be as shown in this upcoming event on 24 September in Mölndal. This creative “potluck” gathering will bring together people interested in making libraries more interactive through programming for children, Raspberry Pi computers and storytelling with 4DFrame educational materials. And if you think about it, working with 4DFrame is perfect for libraries, because it makes no noise while you create and have fun with it! On Friday, 15 August, Nordic4DFrame’s Mariana Back and Tom Callen met with Professor Hannu Salmi at the University of Helsinki, Finland. He is well known in the Nordic and Baltic science center communities for his educational research work in such facilities. Part of the meeting concerned discussing the potential Finnish location for the traveling “Discover the Art of Math” exhibit that is soon leaving Tallinn, Estonia. A very large (and heavy!) bundle of surveys from Swedish students was also delivered. These were completed in conjunction with that same exhibit when it was at the Swedish Museum of Science and Technology in Stockholm. Salmi has been collecting such surveys from all of the sites where this traveling exhibit has been presented as part of a larger research project. It will be very exciting to see the results of the survey sometime later on in the year. Many of you will recall that this exhibit includes a full-time 4DFrame workshop at each location. Our hope is that interest in and involvement with mathematics has been stimulated. A visit to the Heureka Science Center in Vantaa (an half hour drive from Helsinki), and an exploration of its current hands-on exhibits completed the visit before driving back to Helsinki and the late afternoon ferryboat trip back to Stockholm. Welcome to the start of the autumn school term! We at Nordic4DFrame hope that you had a great summer vacation and that you have charged up your “batteries” for fun and creative classroom sessions with your students. With that in mind, do you have all of the 4DFrame materials you need to start the year? And, as was announced last April, you can now obtain both LARGE- and REGULAR-sized 4DFrame activity boxes as best fit your needs. Buy just the boxes and an instruction book by themselves, or buy the boxes with group teacher training by a 4DFrame-qualified instructor as before. Or, you can even buy the boxes now, and then opt for training later on after spending some time getting familiar with the materials. Whatever works best for you and your classroom! Best of luck in the new school year, and we look forward to hearing about your various projects using 4DFrame! One of the most popular of the 4DFrame products that we sell are the Large- and Regular-sized activity boxes, both which are full of exciting educational adventures. 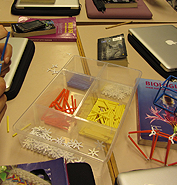 In order to make them more easily available to those who want to use them in their classrooms, it is now possible to buy just the boxes and an instruction book by themselves, or buy the boxes with group teacher training by a 4DFrame-qualified instructor as before. You can even buy the boxes now, and then opt for training later on after spending some time getting familiar with the materials. Whatever works best for you and your classroom! Many in Sweden are familiar with the organization called Tillväxtverket, which encourages the start and development of new companies in the country. What most people do not know, however, is that they have an active program that also seeks to get more women interested in starting their own companies. To do that, Tillväxtverket has created a network of female ambassadors—women who have started and operate their own businesses—that serve as both examples and as resources for others. One of these ambassadors is 4DFrame’s own Managing Director, Mariana Back. You can read more about these programs on their web site. This exciting original interactive science exhibit - developed jointly by a consortium of museums and science centers around the Baltic - has now moved on from the Swedish Museum of Technology in Stockholm to Cesis, Latvia, where it will be appearing at the Z(in)OO science center through April. 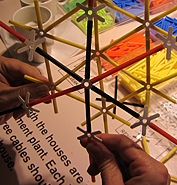 Besides the touring exhibit, another goal of this project is to create innovative materials for both teaching and learning. A survey is made with about 300 students participating at each of the locations where the exhibition is shown. They answer questions both before and after their visit to measure pre- and post-knowledge. 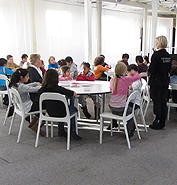 The study is conducted in collaboration with the University of Helsinki, Department of Teacher Education. The results will be analyzed and presented by Professor Hannu Salmi. This information will then be disseminated to other countries in the Nordic and Baltic region. 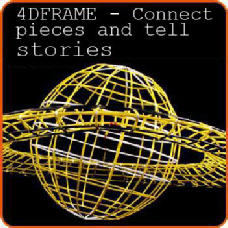 Nordic4DFrame is a part of this project as it also includes a traveling 4DFrame workshop that focuses on the subject of art in mathematics as a complement to the main exhibit. After April, the exhibit will continue on to the Energia science center in Tallinn, Estonia, and possibly to Helsinki, Finland, after that. It originally premiered at Innovatum, Trollhättan, Sweden, in August 2013.